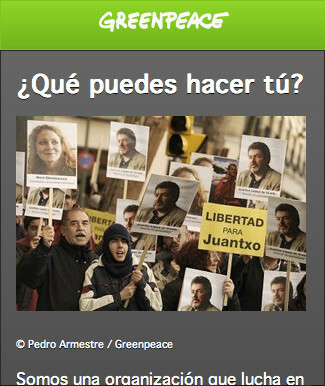 In the beginning of 2011 Greenpeace Spain didn’t had a mobile site. Accessing the current desktop site from a mobile phone isn’t user friendly, as the user has to constantly zoom and pan trough the site and links are too small to be clicked with a finger. Another problem is that main site is also too heavy and slow for mobile phones. So, the current mobile site for Greenpeace Spain aims to provide iPhone and Android mobile users with a simple but easy to use lite alternative to the current site. It’s updated frequently with news and it has signup information and forms. I’ve selected and installed the CMS, designed the theme and I currently update the CMS with content. The site uses PyroCMS and jQuery Mobile as a framework. Pyro it is very easy to use, it’s expandable and the backend looks really nice. jQuery Mobile allows standard interactivity and aims to be compatible with all A-Grade mobile browsers on the main platforms.